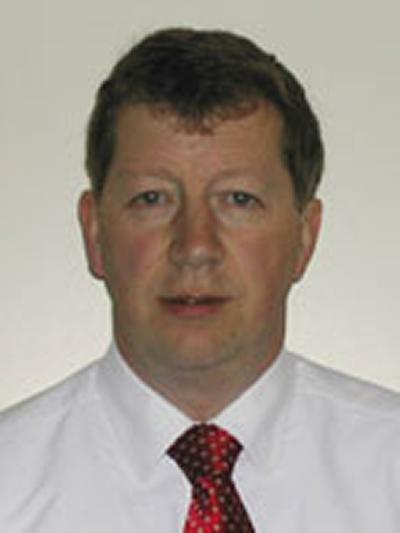 Professor John Primrose is Professor of Surgery at the University of Southampton, a post he has held since 1994. He trained in Glasgow and Leeds where he was Lecturer and then Senior Lecturer in Surgery. His clinical interest is in cancer, particularly hepatobiliary (HPB) cancer and Southampton is a large tertiary referral centre for HPB disease. It is the largest laparoscopic HPB centre in the UK. He is Director of the NIHR Hampshire and Isle of Wight Comprehensive Local Research Network and in that role he is committed to promoting a research led NHS, and currently Chair of the National Cancer Research Institute Upper GI Clinical Studies Group. He is Chief Investigator of several major national and international clinical trials and has served on a large number of national bodies particularly Cancer Research UK funding committees. His research interests focus on large clinical trials in cancer and translational surgical oncology. He was recently elected Vice President (President Elect) of the Association of Surgeons of Great Britain and Ireland, the principle membership organization for surgeons in the British Isles. Professor Primrose’s research is in gastrointestinal cancer, clinical and translational and Health Services Research. The focus is on improving outcomes for patients undergoing surgical treatment for cancer. This is being achieved through devising and undertaking large scale national and international trials. All the studies are associated with tissue collections with a view to the development of biomarkers which will have prognostic value and may also predict response to therapy. The FACS trial is the definitive randomised trial examining means of patients with colorectal liver metastases and will change practice. The trial Health Technology Assessment Programme funded trial has run for 8 years and is due for a preliminary analysis in 2013. It will show which combination of imaging and tumour marker measurement is optimal in follow up liver metastases. Translational analysis of collected tissue should add prognostic information which may determine whether or not a patients requires surveillance. The EPOC trial, supported by CRUK, showed that the addition of chemotherapy to surgery for colorectal liver metastases improves the progression free survival. The follow on trial, New EPOC, also funded by CRUK examines whether the addition of cetuximab, an anti EGF receptor antibody, to chemotherapy improves the outcome still further. The trial is due to close to recruitment in 2012. EPOC B is due to start recruitment shortly. The aim is to determine whether it is possible to deliver chemotherapy after liver resection rather than before and after operation, as the complications of surgery are higher if chemotherapy is delivered before operation. All the EPOC trials have translational components involving tissue collections funded by CRUK and proposals for analysis are in preparation. Other work on colorectal cancer metastases includes systematic reviews of the role of liver resection in colorectal liver metastases and the use of ablation technologies in the same indication. The BILCAP trial is examining adjuvant chemotherapy may improve the outcome of biliary tract cancer (cholangiocarcinoma and gallbladder cancer). This is funded by CRUK as are the associated translational studies. Professor Primrose has led the development of Academic Surgery within the Cancer Sciences Division of the Faculty since 1993. He has supervised the research of a large number of postgraduate students some of whom are now senior academics. He directs the Hampshire and Isle of Wight Comprehensive Local Research Network which administers a budget of around £9M of funding which supports research in the NHS. As Chair of the National Cancer Research Institute Upper GI Cancer studies group he oversees a large portfolio of research trials, both clinical and translational. From 2006 to 2009 he was Director of Education at the Association of Surgeons and was responsible for setting up a distance learning Masters Programme in Surgical Education and involved in the development of the General Surgical training Curriculum. As Vice President (President Elect) of the Association provides leadership of the organization and for surgeons in the UK and Ireland. West, M., van Dijk, D. P. J., Gleadowe, F., Reeves, T., Primrose, J., Abu Hilal, M., ... Olde Damink, S. W. M. (Accepted/In press). Myosteatosis is associated with poor physical fitness in patients undergoing hepatopancreatobiliary surgery. Journal of Cachexia, Sarcopenia and Muscle. Shinkins, B., Primrose, J., Pugh, S., Nicholson, B. D., Perera, R., James, T., & Mant, D. (Accepted/In press). Clinical decisions based on CEA levels during colorectal cancer follow-up should be based on trend, not single measurements: results from the FACS randomised trial. British Journal of Surgery. Westwood, G., McKay, R., Primrose, J. N., Peveler, R. C., Fairbank, J., & Frater, A. (2013). How to manage excess treatment costs. Health Service Journal. Underwood, T. J., Derouet, M. F., Noble, F., Uzoho, C., Kelly, J., Byrne, J., ... Blaydes, J. P. (2011). Fibroblast secreted periostin plays a functional role in oesophageal tumour cell invasion and indicates resistance to chemotherapy and poor prognosis. British Journal of Surgery, 98(S7), 28-29. Robertson, R., Campbell, C., Weller, D. P., Elton, R., Mant, D., Primrose, J., ... Sharma, R. (2006). Predicting colorectal cancer risk in patients with rectal bleeding. British Journal of General Practice, 56(531), 763-767. Gruenberger, T., Sorbye, H., Debois, M., Bethe, U., Primrose, J., Rougier, P., ... Nordlinger, B. (2006). Tumor response to pre-operative chemotherapy (CT) with FOLFOX-4 for resectable colorectal cancer liver metastases (LM). Interim results of EORTC Intergroup randomized phase III study 409837. Journal of Clinical Oncology, 24(18s). Primrose, J. N. (2005). Approach to the treatment of primary liver cancer. The Medical Journal of Malaysia, 60(Supplement B), 104-107. Primrose, J. N. (2005). Managing liver metastases: myth or reality? The Medical Journal of Malaysia, 60(Supplement B), 67-69. Gunter, M. J., Watson, M. A., Loktionov, A. S., Mitrou, P., Cecil, T., Macklin, C., ... Bingham, S. A. (2005). No association between cytochrome P450 and glutathione S-transferase gene polymorphisms and risk of colorectal adenoma: results from the UK Flexible Sigmoidoscopy Screening Trial. Cancer Epidemiology, Biomarkers & Prevention, 14(4), 1028-1030. Phelps, M., Darley, M., Primrose, J. N., & Blaydes, J. P. (2003). p53-independent activation of the hdm2-P2 promoter through multiple transcription factor response elements results in elevated hdm2 expression in estrogen receptor alpha-positive breast cancer cells. Cancer Research, 63(10), 2616-2623. Primrose, J. N. (2002). Treatment of colorectal metastases: surgery, cryotherapy, or radiofrequency ablation. Gut, 50(1), 1-5. Hanson, J. M., Challiss, D., Primrose, J. N., & Plusa, S. M. (2001). Blind percutaneous insertion of Hickman lines by a specialist team. Annals of The Royal College of Surgeons of England, 83(5), 332-334. Bullock, M., Primrose, J., Khundkar, R. (Ed. ), De Silva, S. (Ed. ), & Chowdhury, R. (Ed.) (2010). Consent in surgery a practical guide. a practical guide. Abingdon, GB: Radcliffe. Primrose, J. N., & Underwood, T. J. (2013). Stomach and duodenum. In N. Williams, C. Bulstrode, & P. R. O'Connell (Eds. ), Bailey & Love's Short Practice of Surgery, 26th edition (pp. 1023-1057). Boca Raton, US: CRC Press. Primrose, J. N. (2008). Stomach and duodenum. In N. S. Williams, C. J. K. Bulstrode, & P. R. O'Connell (Eds. ), Bailey & Love's Short Practice of Surgery 25th edition (pp. 1045-1079). London, GB: Edward Arnold. Primrose, J. N. (2004). Stomach and duodenum. In Bailey & Love's Short Practice of Surgery 24th Edn (pp. 1026-1061). London, GB: Arnold. Primrose, J. N. (2000). Stomach and Duodenum. In H. Bailey, R. J. M. Love, R. C. G. Russell, N. S. Williams, & C. J. K. Bulstrode (Eds. ), Bailey and Love's Short Practice of Surgery 23rd Edition (pp. 891-930). London, GB: Hodder Arnold. Lecturing widely nationally and internationally on gastrointestinal cancer, surgical and oncological treatment and translational science.